Join Us, at Sunisthefuture Team at Kiva, to Spread More Sunshine! Thanks to all of you out there who have helped with these Solar Loans. These Solar Loans will help to spread Sunshine and decrease CO2 emission for our planet earth. For those of you who would like to take part in speeding up our earthly transition toward the Solar/Renewable Energy Age, (in order to reduce problems associated with pollution, energy, climate change, national security, or job opportunities) please feel free to join us at Sunisthefuture Team at Kiva. 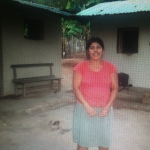 I am happy to report that, since the inception of Sunisthefuture Team at Kiva (March 13, 2012), we have helped entrepreneurs and home owners from many different parts of the world (USA as well as elsewhere) with 1023 loans to establish their small businesses in Solar Energy, Renewable Energy, Energy Efficiency, or Recycling projects (with occasional tools, seeds, cattle, etc.) via microfinance. Each and every one of you is very significant in making these projects a reality. We are optimistic and hopeful that by spreading more Sunshine (use of Solar Energy) throughout the planet earth more quickly, our planet earth will be a much better place to live. We are hopeful and optimistic that sun, water, wind, and geothermal energy will lead us into a world free from pollution and international conflicts. If you share our vision, please feel free to join and invite your friends/family to join Sunisthefuture Team at Kiva and/or support our cause by visiting/purchasing from our Sunshine Online Store. 3. 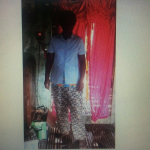 Serapio of Intibuca, Honduras, a loan to purchase a solar home system that will allow him to reduce spending in kerosene, candles, and to improve home lighting. Cristian lives in a community in the Department of Intibucá Honduras. He works as a teacher of primary education from 3 years, age 21; He live with his parents. 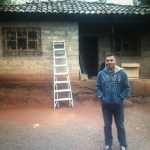 It is clear that Cristian works hard to maintain his parents and at night, after a hard day of work, the conditions in the house are not very good due to the lack of electricity. He hopes that with the solar energy system, he will be able to prepare his classes at night and help his family with the tasks at home. 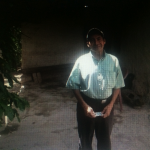 Cristian is requesting a loan to purchase a complete solar electric system from Soluz Honduras, that will permit him to have better lighting, charge his cell phone, and save in traditional energy expenditure.